“You are always going to have to go in and bag that system electronically before you do anything else. As you know, for the last several years we have very much wanted to take on the broader electronic attack mission. 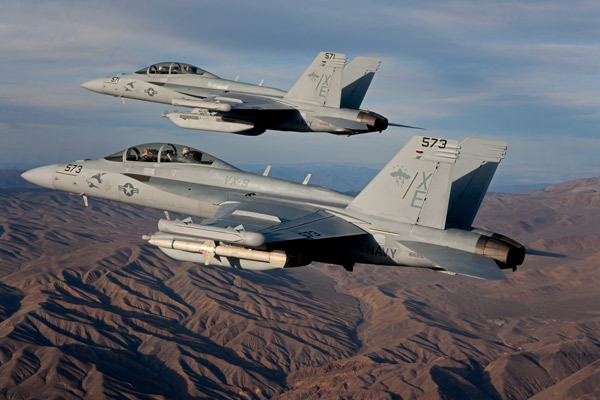 The first Growler squadron in Iraq recovered from the combat mission [there, and] 47-hrs. later they launched a combat mission on a Libyan air base. That’s pretty extraordinary in terms of agility. That’s why we’re investing in Growler. Electronic attack is going to become increasingly important. On the cyber side, [aircraft and ships] but particularly submarines [had] an extraordinary system with which to participate in cyberoperations. Those are areas we focused on." VADM BERNARD J. McCULLOUGH, III testimony in September of 2010 to Congress sheds some light on Navy Fleet Cyber Command (FLTCYBERCOM) organization. They are 10th Fleet, which includes Cryptologic Operations (including EW), IO, Network operations and defense, operations and R&D. "developing a weapon system that can deliver cyber-effects through free space into an aperture." "We have the same core set of engineers on a number of different programs," says Dennis Hayden, director of business development for information operations and electronic attack. "We look at NGJ as the gun and cyber-effects as the bullets. We have the flexibility to go from traditional area-suppression jamming to reactive jamming to a very precise location jamming and cyber-effects." "NGJ is a complex problem. How it affects your concept of operations and the impact for force mix all gets wrapped together in defining the capability. The more sophisticated the requirement is, the more cyber-effects can come into play," says Falco. The demand for cyber-effects projected at long range is considered inevitable. "Absolutely, that's a given," he notes. Lots of speculation and discussion for something still in development, will be interesting to see what comes out at the end. Also have an article titled "New EW Capabilities To Emerge With NGJ" that discusses some of the AEA developments and possibile kinetic weapon pairing that might occur.